NoiseMakers is a small but interesting audio software company based out of Rennes, France. 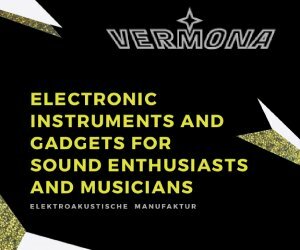 The two developers, Charles Verron and Matthieu Bebin, focus on signal processing, sound synthesis and 3D audio. We gave a look at their three audio plugins currently available, Binauralizer, Pano and Tape One. 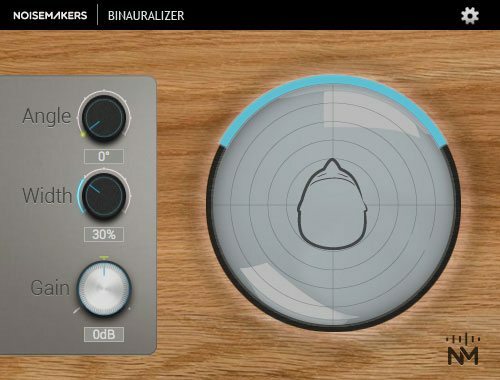 The Binauralizer is an effect unit designed for dealing with audio spatially – it excels in binaural panning and downmix of multichannel audio. The plugin utilizes Head Related Transfert Functions to simulate sound location/width naturally. One can use the angle and width controls on the left, or the XY-pad on the right to affect full 360° panning. I have never encountered a panning plugin this effective at targeted panning, and the even Binauralizer allows for Front/Back in addition to Left/Right! It maintains all of the original audio to my ears (and I tested multiple audio sources and samples) and manipulating the position with essentially zero artifacts. While certain signals suffer a slight loss in volume when being run through the Binauralizer, this can be easily compensated for with the built-in Gain knob. There is no apparent phase cancelation in mono (I tested dozens of sources and Binauralizer settings). Overall, this is an incredible plugin for the price. 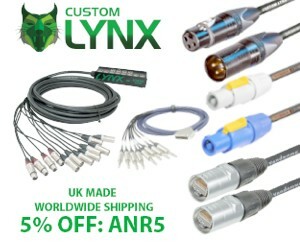 Suitable for users of all genres, it can sort out all sorts of panning and stereo control needs. 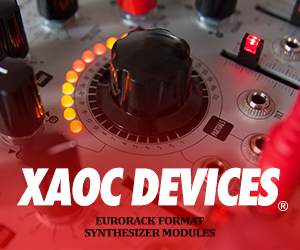 Available as VST, AU, AAX. Procedural Ambient Noise Orchestra (PANO) is a real-time multichannel Foley (reproduction of everyday sound effects added to media in post-production) synth, offering liquid, fire, wind, and other kinds of spatialized sound textures. Essentially, PANO has all of the spatial/stereo controls from the Binauralizer built-in, making it easy to spatially adjust the sound’s consistency. Built in presets include liquid (within that: liquid, bubbles, and river), fire (flame, bonfire, and fireball), wind (wind, breeze, tornado). 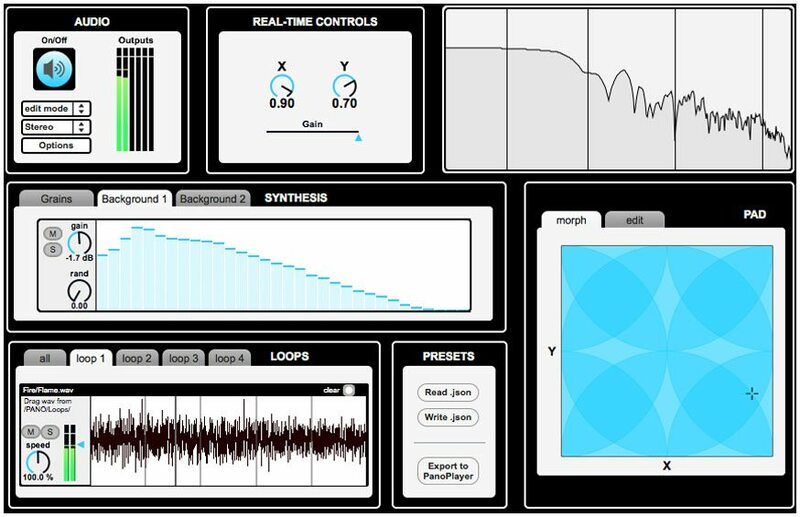 There is a dynamic morphing pad wherein the user can morph X and Y controls, making automation automating or performing live with the plugin easy. Overall, the built-in presets sound great, with plenty of natural variation – great for layering with instruments or adding ambiance to the track, especially with the added spatialization options. Also, the nine presets included are just the beginning – with the PANO Composer, users can have access to the full set of controls and allows for the creation of presets to be used in PANO Player. If you need a full creative control, PANO Composer is a standalone synth with two granular synthesizers, 32-subband additive noise synthesis, four filters, and four loopers for loading custom wave files. Tape One is a tape effect plugin, providing micro delay times (5 ms), feedback gain (up to 110%), stereo balance and ping-pong effects, filters, internal saturation, and a stereo oscilloscope. It features a time-varying delay algorithm, naturally slowing down or fast forwarding the input signal. Tape One, in addition to loads of features, simply sounds amazing. I couldn’t make the thing sound bad; it adds a gorgeous vintage subtle sound and all inputs! It does classic vintage vocal tape delays to perfection. My only criticism is of the color scheme of a few of the controls – I’m all for using colors to make different controls stick out, but I’m not sure what’s going here is what I would call ideal from a design perspective. That being said, Tape One’s aesthetics are moot considering the unbelievable sound it delivers. NoiseMakers’ policy was inspired by Cockos and it’s just brilliant. In their own words “We have two types of licenses: full, and discounted (66% off). 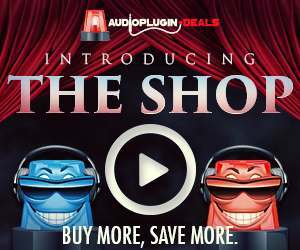 To read more and try/buy their plugins, visit the NoiseMakers website.